The J64 chair by Fredericia designed by Ejvind A. Johansson is a mixture of classic Windsor elements and Scandinavian style. The bent chair with the inclined arms looks great as a dining table chair as well as an armchair in a cozy sitting area. 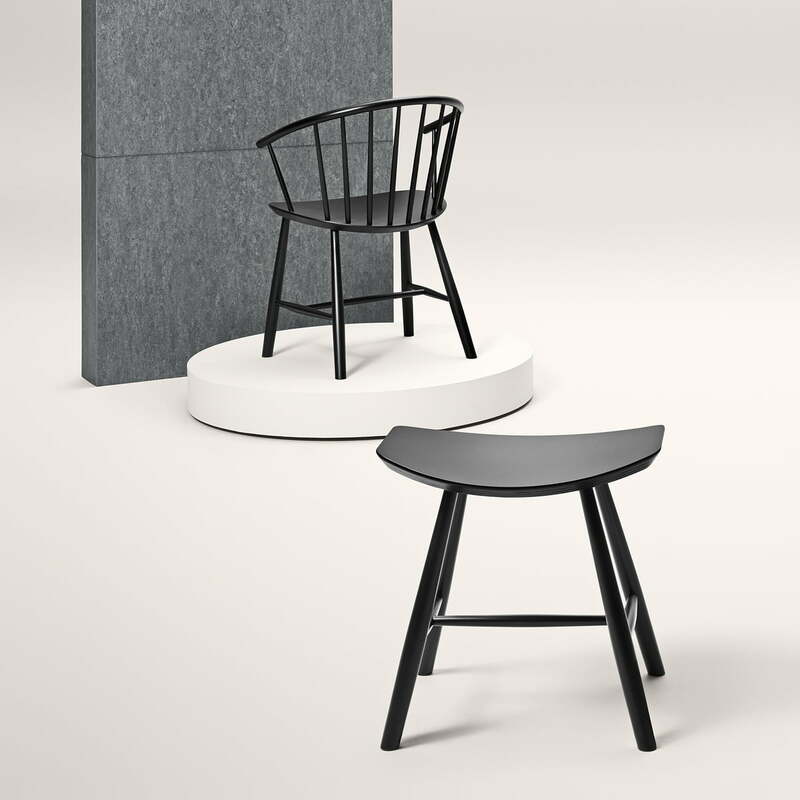 The J64 chair blends traditional craftsmanship with modern functionalism and minimalism. The frame is steamed into the right shape and the slim spokes create a design that builds a bridge between classic and modern design. The chair gains in personality when cushions or a lambskin is added to it. 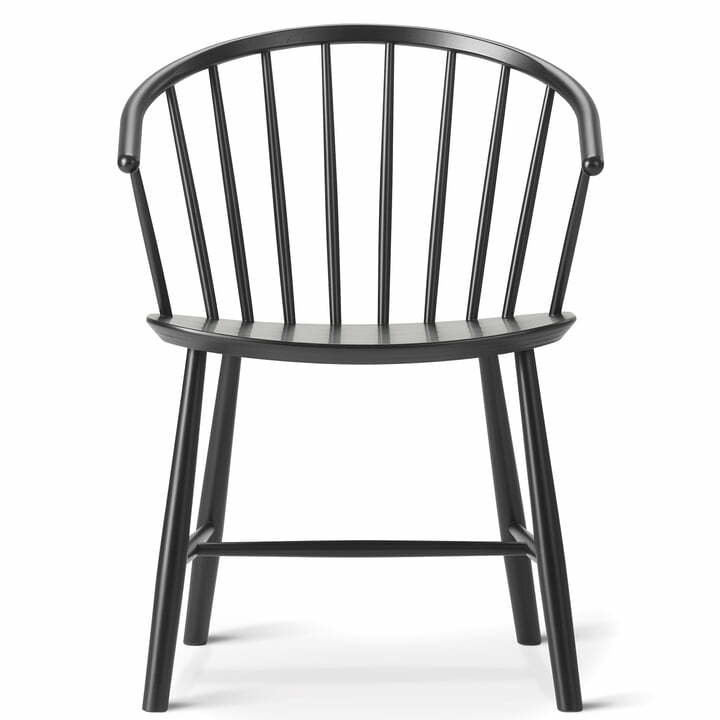 The J64 Chair by Ejvind A. Johansson for Fredericia is made of varnished beech. A great complement to the J64 Chair is the J63 Stool, which was also designed by Ejvind A. Johansson. Group image of the J63 Stool together with the J64 Chair by Fredericia. The J63 Stool is a great match to the J64 Chair, which was also designed by Ejvind A. Johansson.